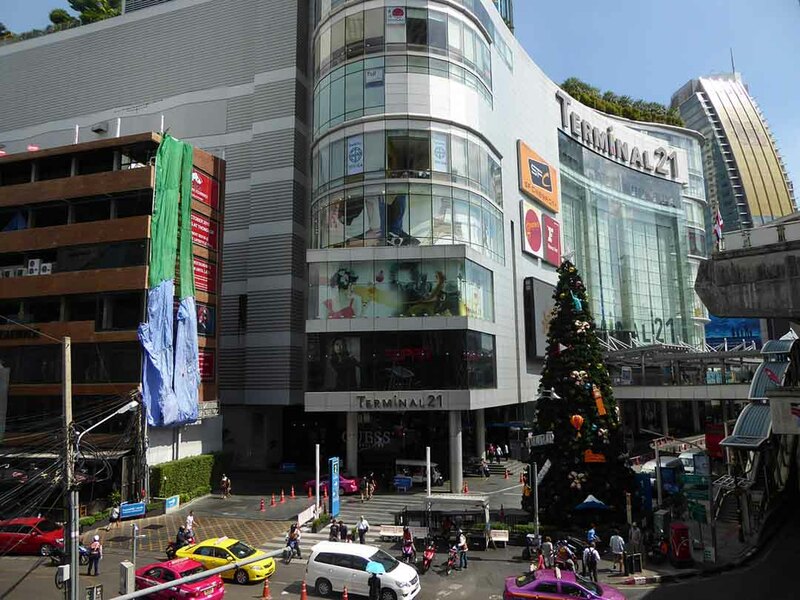 Terminal 21 is on Sukhumvit Road near the Asoke intersection. 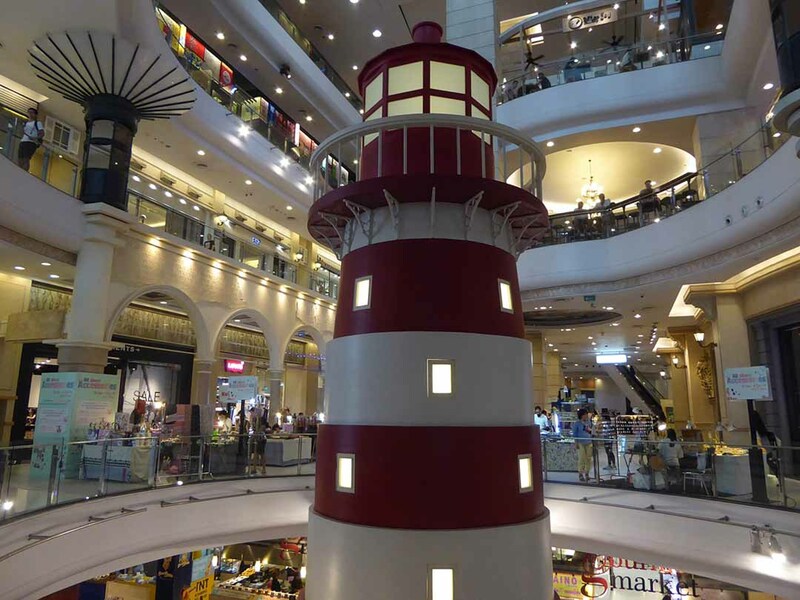 It opened in October 2011 and has quickly become one of Bangkok’s most popular malls. 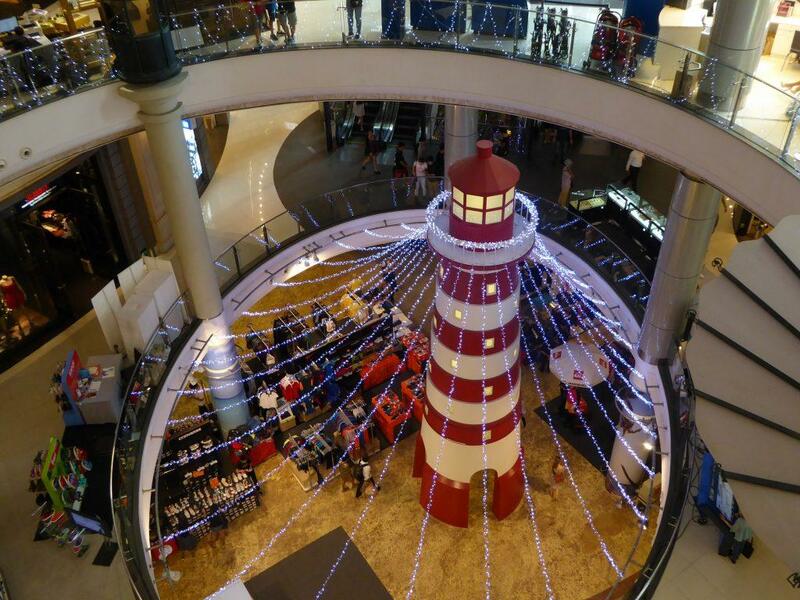 It’s a lifestyle mall with character & shopping here is an experience you won’t forget. One plus point is the emphasis on mostly hosting small boutique market style shops and not the usual line up of chain stores. It’s photo friendly and one of Bangkok’s top Instagram spots. Terminal 21’s interior design has the overall theme of an airport terminal. There is airport style arrival & departure like signs & an electronic display board advertising events. The theme continues at the information desk where staff dress in air hostess outfits. 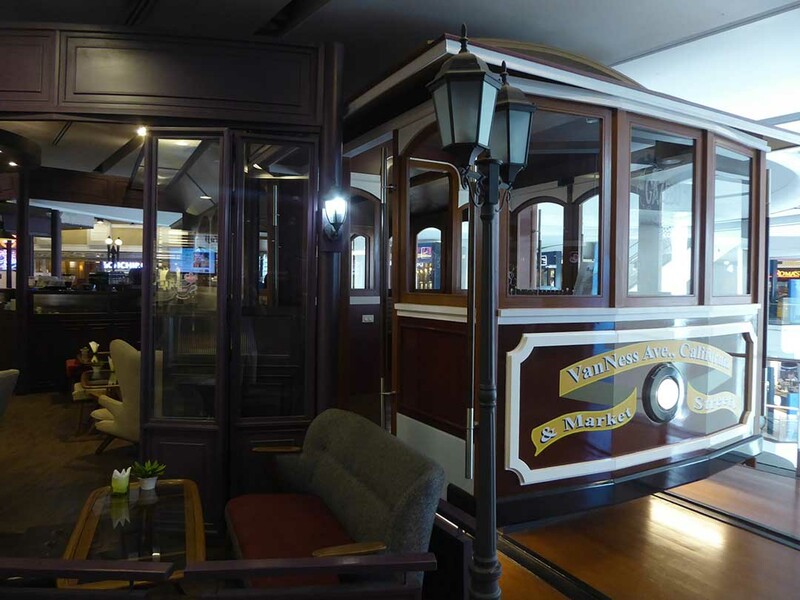 The travel theme extends to the nine floors named after famous cities or places in the world. Each floor decorated with replicas of famous images associated with that city. 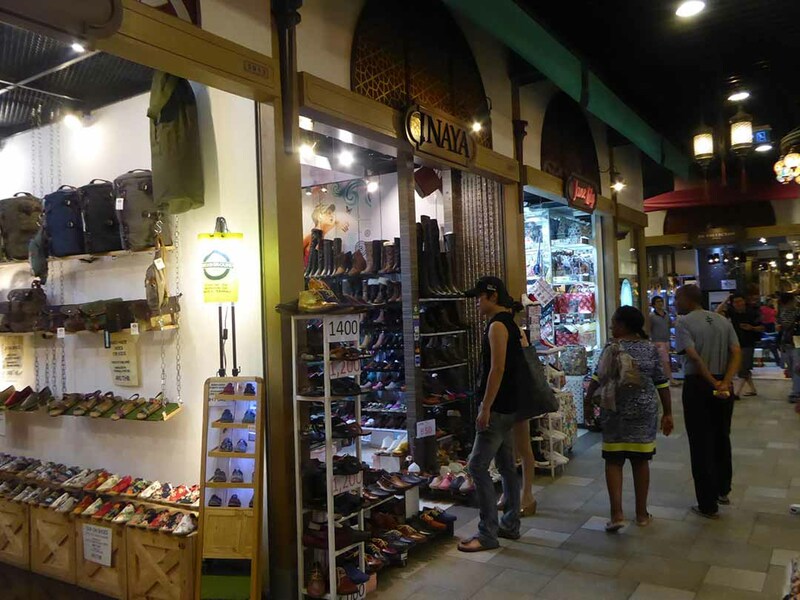 The 600 stores are a mix of independent boutique style stores along with a choice of brand name stores. Prices are reasonable with a range of between 200 – 2000 baht. 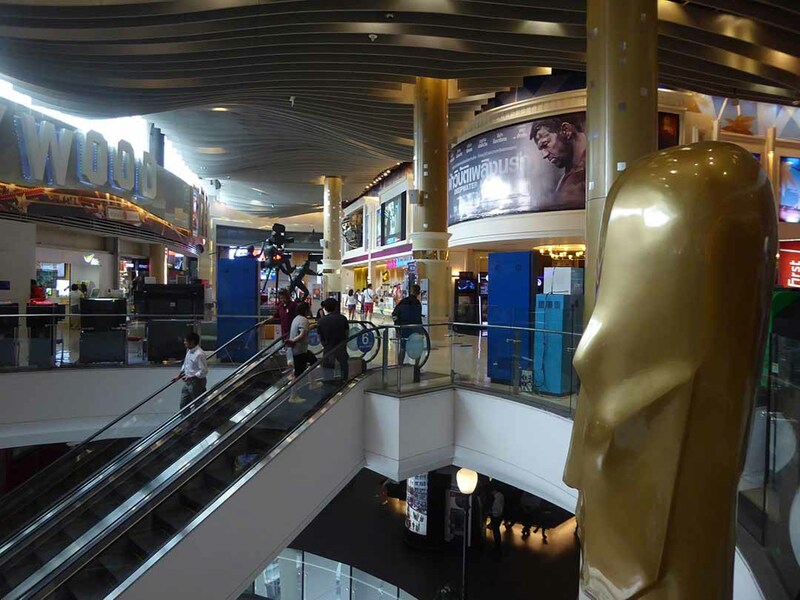 There are also over 50 restaurants & cafes and a multiplex cinema. 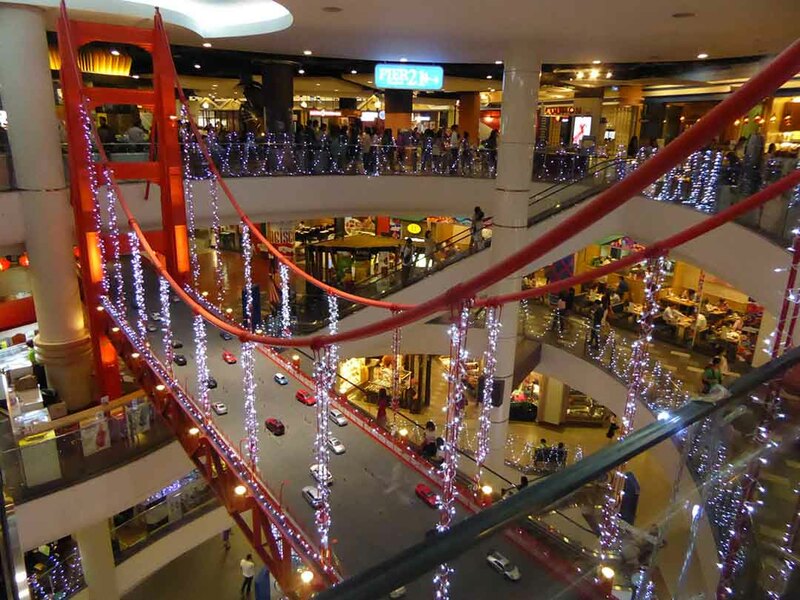 Terminal 21 also boasts Thailand’s longest escalator at 36 meters long which can whisk you straight up to the restaurant floors. 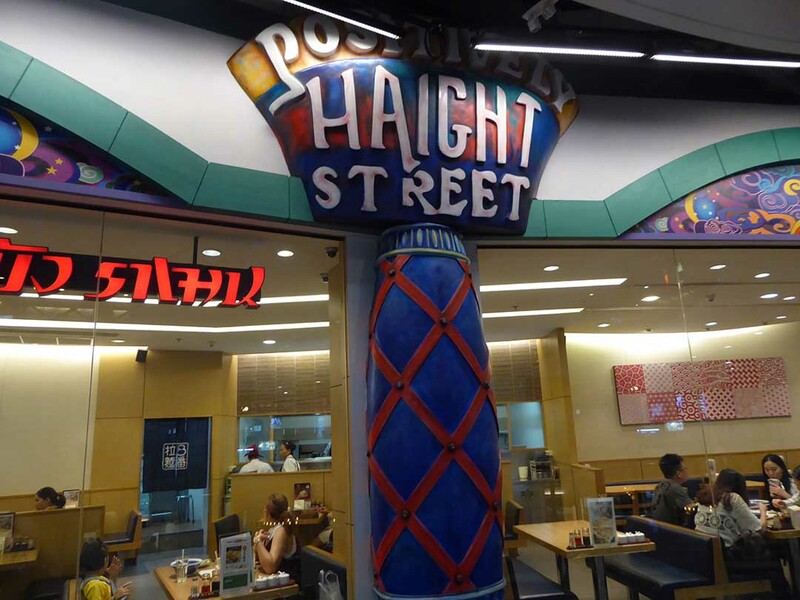 The mall is also famous for the hi-tech Japanese style toilets and restrooms decorated to match the floor theme. The theme is a Caribbean beach town complete with lighthouse. The main part occupied by small food outlets and a Gourmet Market. Here you will find Mos Burger, Subway, A&W, cake shops & bakeries. There are also banks, a bookshop, a DVD shop, a Daiso 60 baht shop, and Boots Chemist. The theme is Rome complete with street signs of famous shopping streets of the Italian capital. The decor features Roman-style arches, statues, and a fountain. 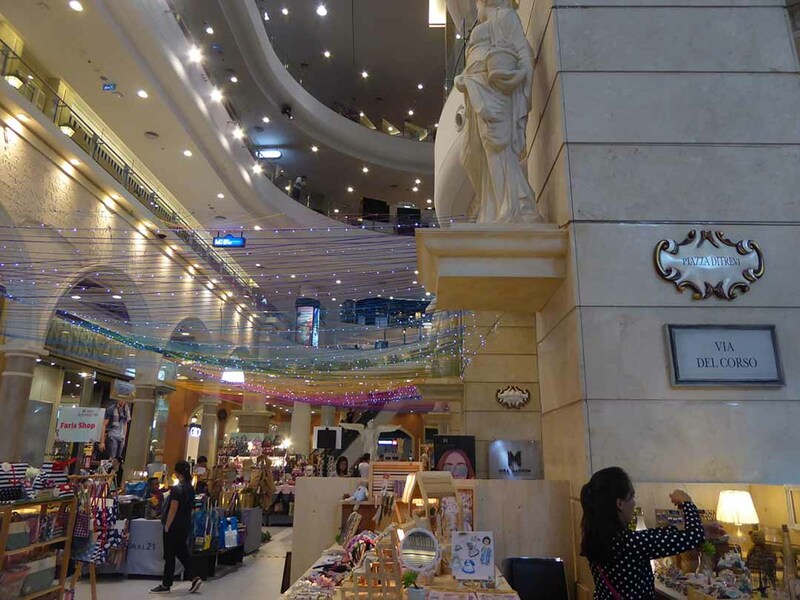 On this floor, you will find brand name fashion stores selling ladies & menswear, & accessories. Shops include Quicksilver, CC-OO, Jaspal, Roxy, Nike, Adidas, Levis, Pronto, American Eagle & Lyn Around. There is a foreign exchange counter on this floor. The theme is Paris complete with replica Parisien decor & streets. You can imagine shopping on the Champs Elysee here. 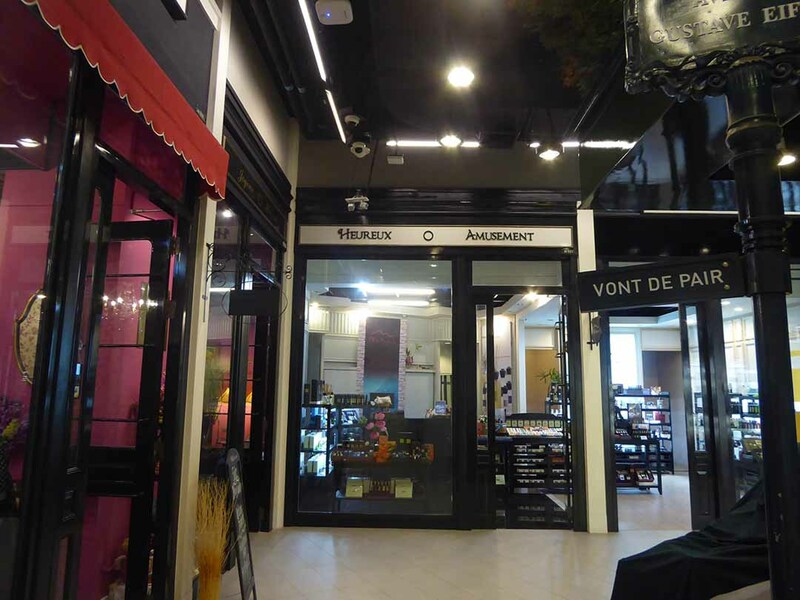 The stores are a mix of independent boutiques and brand name fashion stores selling stylish ready to wear clothing. 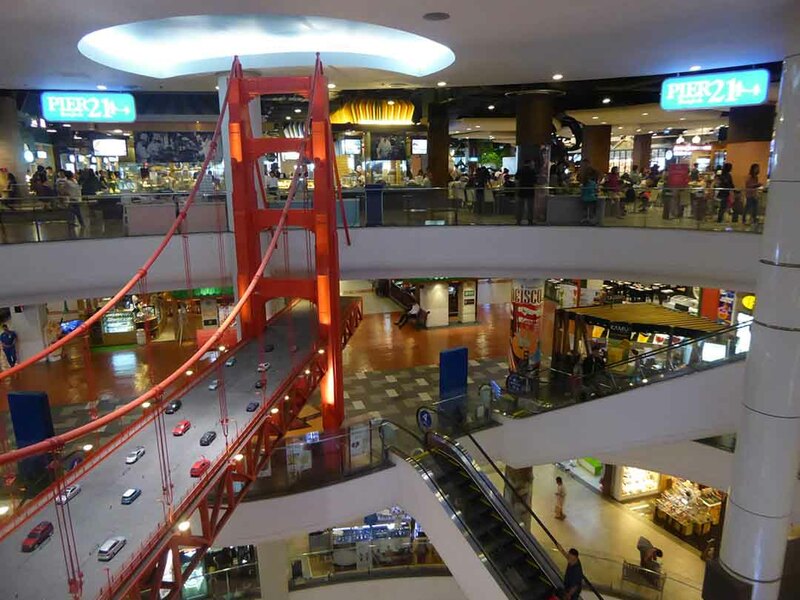 H&M, Chaps, Brandy Melville, Victorias Secret & Charles & Keith can all be found on this floor. There is an information desk & foreign exchange counter on this floor. 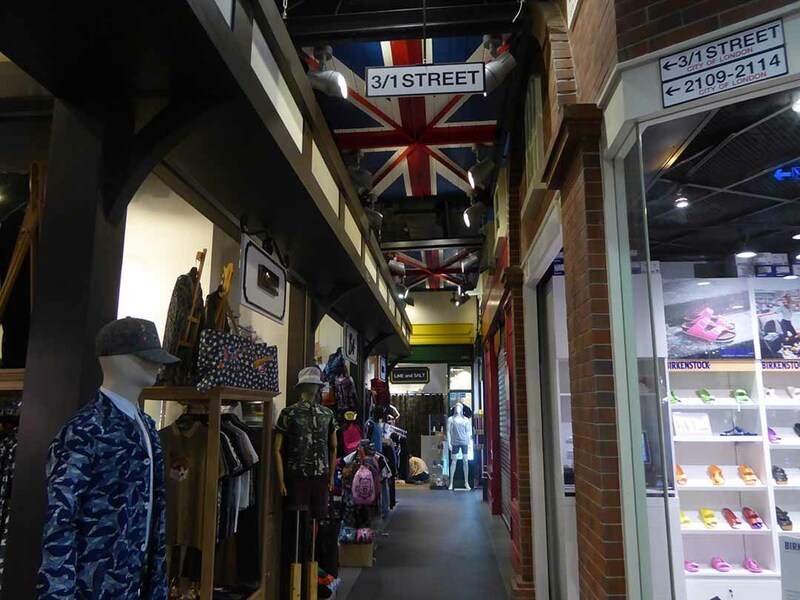 Tokyo is the theme with Thai designer fashion boutiques & vintage shops selling ladies clothes and accessories. There are also Chalachol hairdressers, beauty product & lingerie shops. The lanes are lit by Japanese style lanterns & there is a large waving lucky cat to welcome you. The theme is London, the lanes named after famous London shopping streets. 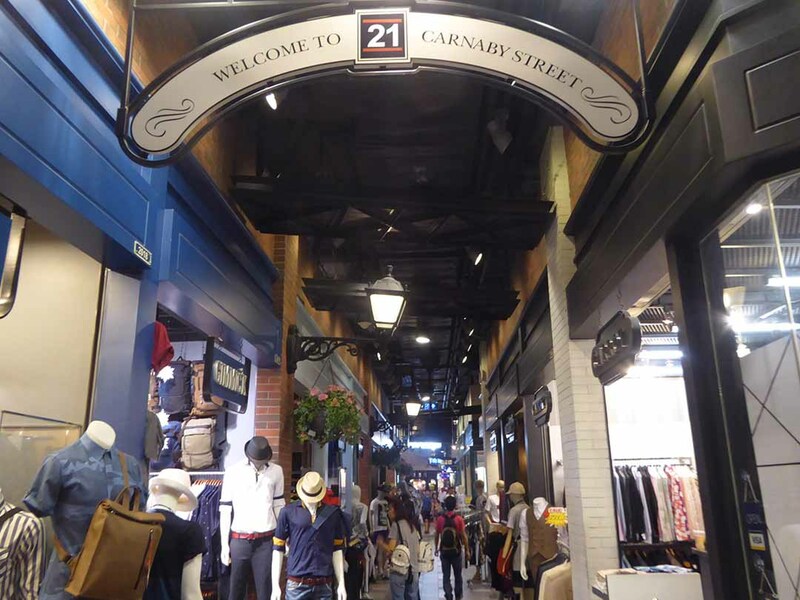 You can shop on Oxford Street, Carnaby Street, Piccadilly, Covent Garden & Camden High Street. Some of the shops named after places in London. 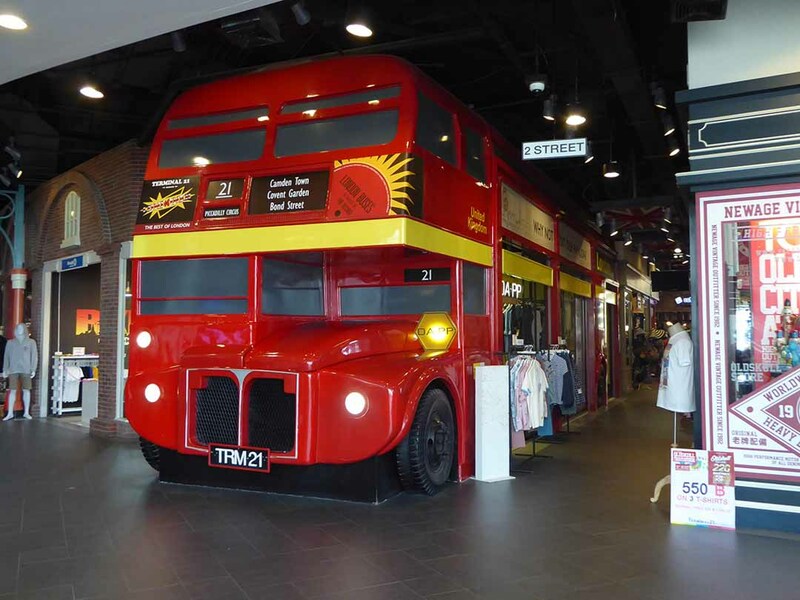 The decor includes a big red double-decker bus and a tube train both converted into shop units. The shopping is exclusively Menswear including Jeans, t-shirts, jackets, shoes, trendy designer gear, sportswear, hats & accessories. The theme is the Turkish city of Istanbul. This floor of Terminal 21 features middle eastern decor to replicate the look & feel of shopping in a Zouk. 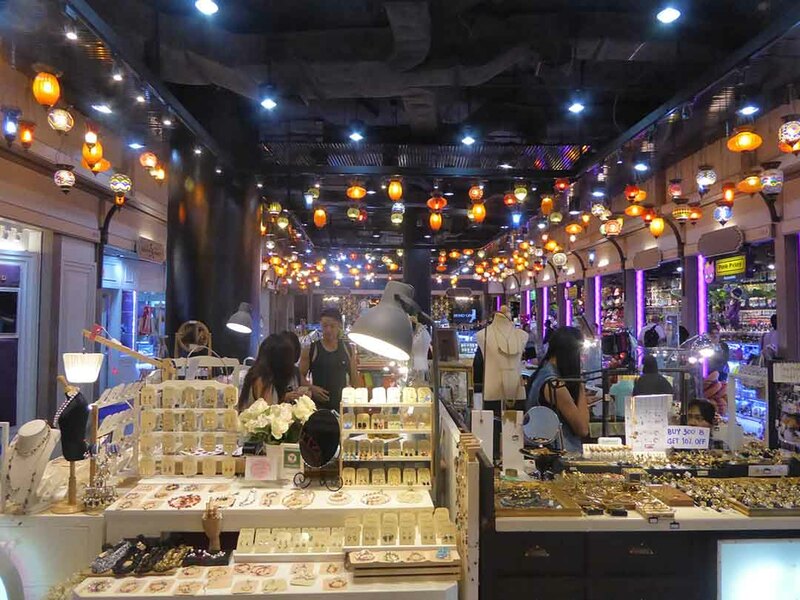 The shopping is a mixed bag of gift items, shoes, bags, souvenirs, accessories, beauty products, and Jewellery for both sexes. 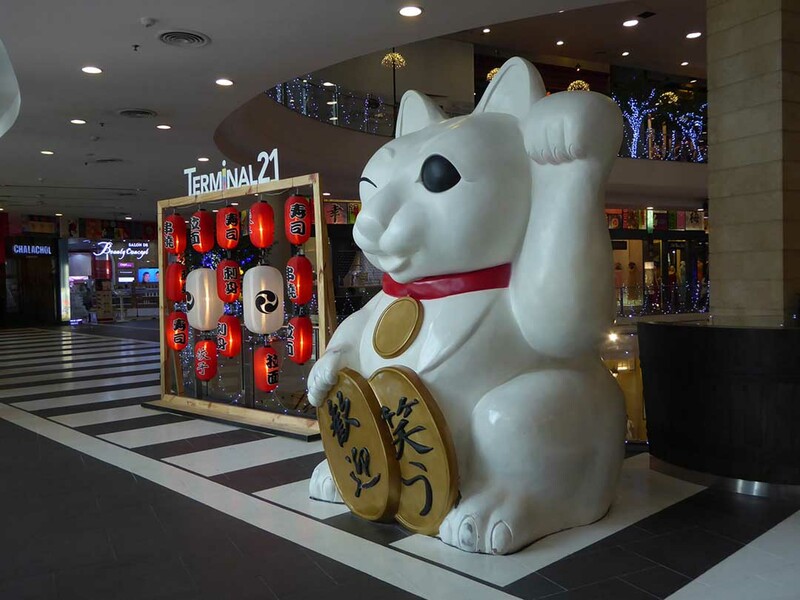 The fourth floor of Terminal 21 is home to a collection of restaurants & cafes serving up Asian & International cuisine. 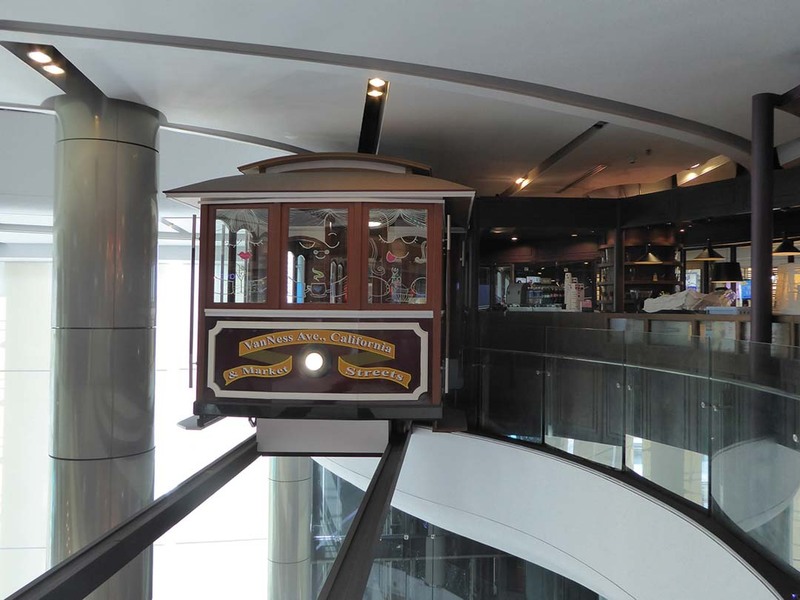 The theme is the city of San Francisco and features a replica Chinatown & a cafe in a San Francisco tram. Highlights include Mexican restaurant Sunrise Tacos, Tony Romas, Mr Jones Orphanage, and Farm Design. Floor five of Terminal 21 is another exclusive dining area. The theme is San Francisco again with an impressive replica of the Golden Gate bridge complete with model cars. The centerpiece is a food court called Pier 21 serving reasonably priced, quality Thai & Western food. 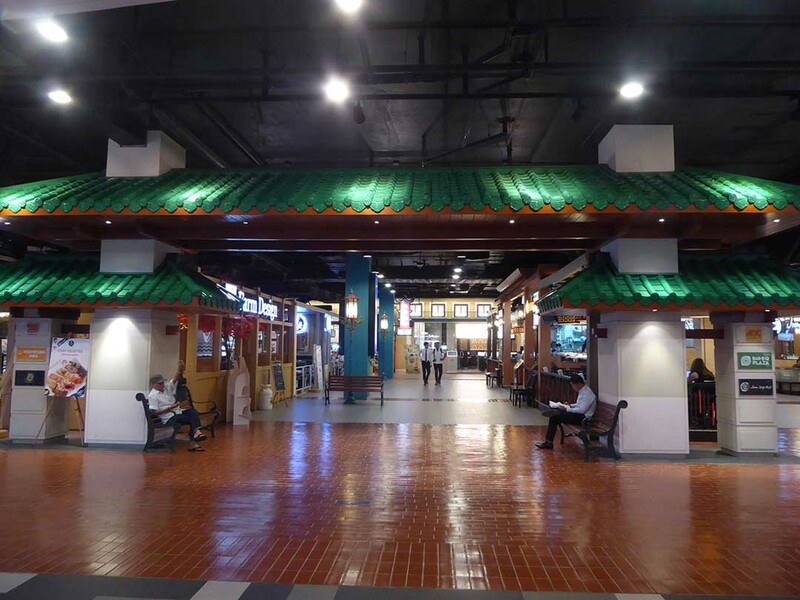 Surrounding the food court is a choice of Asian, International & seafood restaurants. 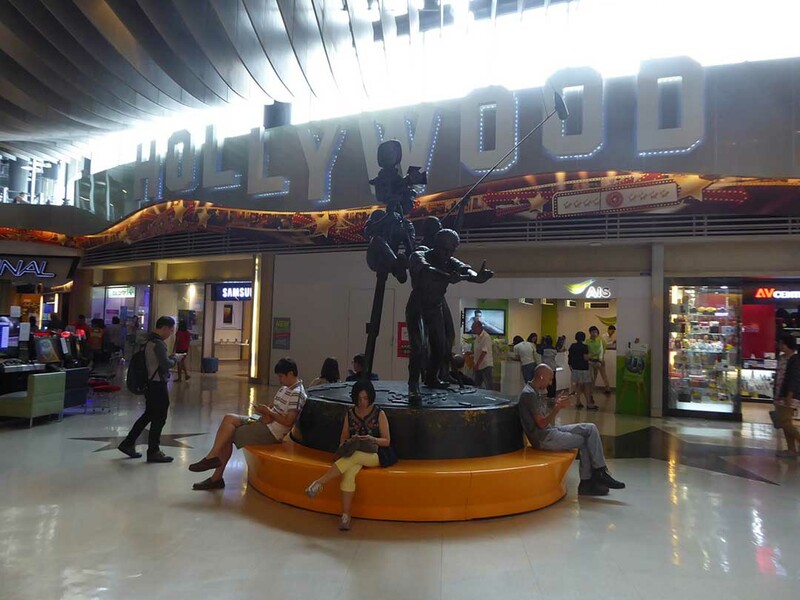 The sixth floor of Terminal 21 is Hollywood and features some movie inspired decor and an eight-screen multiplex cinema. It’s ultra modern and shows new movies. Tickets are 140 – 220 baht. Cheap ticket day is Wednesday with tickets from 100 baht. There are also IT & gadget stores, Phone shops, a camera shop, a coffee shop, a health club, and a spa. 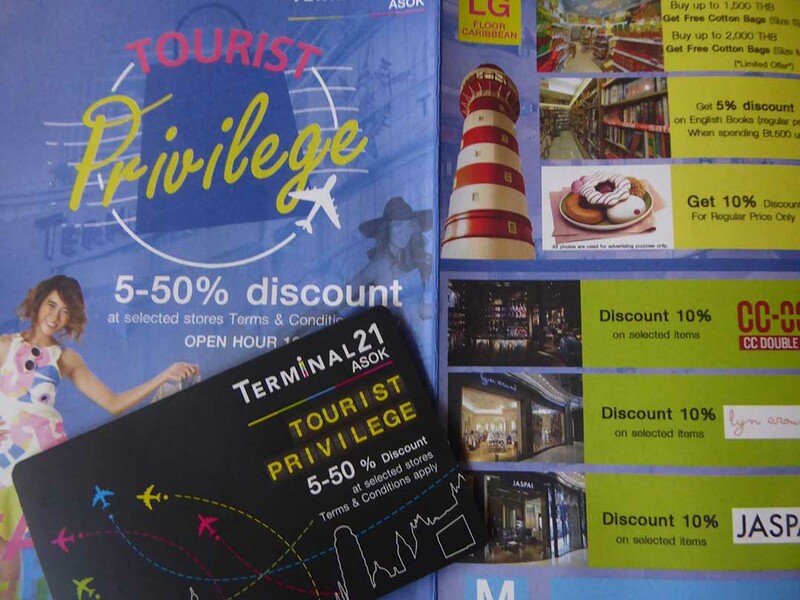 TIP – Pick up a Tourist Privilege Card from the information desk at G Floor, Rome or M Floor, Paris for 5-50% discounts at participating stores and restaurants. You will need to present your passport. Baby carts and wheelchairs are available at the information desks. Free high-speed WiFi is available throughout the mall though you need to register at the information desk before you can get access to it. 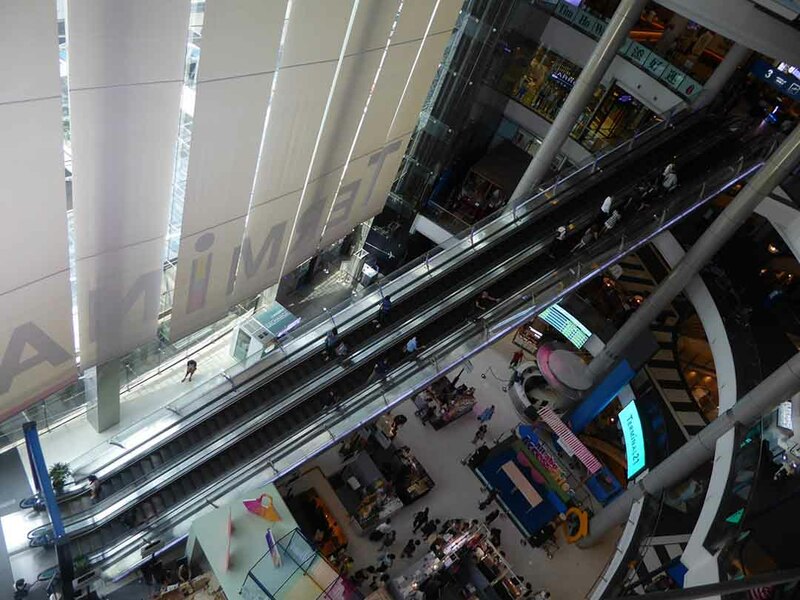 Terminal 21 is conveniently on the Sukhumvit road next to the Asoke intersection with walkway access from BTS Asoke Station and escalator/walkway access from MRT Sukhumvit Station.